Our impact lies with building learning communities through the delivery of mosaic art workshops that are shown to improve wellness, quality of life and housing stability among individuals vulnerable to homelessness. Piece by Piece values promoting respect for self and others and fostering community through teamwork and collaboration. Our workshop community offers the support essential to developing talents such that each may reach their full potential to contribute. Our activities and the creativity that is fostered help to make the world a better place! Piece by Piece provides a unique opportunity to gain marketable skills through study and practice in the Mosaic Art discipline. Participants attain Artisan-level skills, compensated work fulfilling orders for mosaic art, and the opportunity to improve job prospects and financial security. Supporting this activity, our on-the-job training program offers recently-homeless women transitional employment in their role managing and preparing donated materials for use in the creation of mosaics. The innovation of the Piece by Piece program is its power to build community among persons who have felt alienated. Piece by Piece instructors are uniquely gifted in their ability to encourage and inspire people who face extraordinary challenges in their daily lives. Participants gain friendship, a network of support, creative voice and the motivation to contribute – with the impact of improved wellness and quality of life. 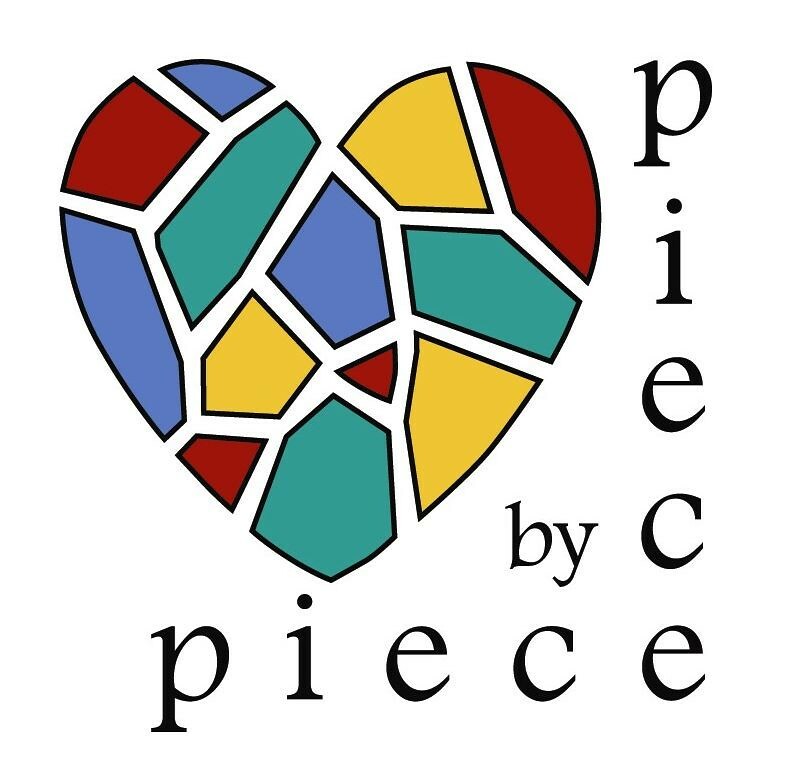 Piece by Piece is a learning community of participants, artists and volunteers bound by a shared desire to create mosaic art and to offer each other inspiration and support, fueling our potential to promote growth and impact wellness. The most compelling aspect of our work is how our program builds learning community and creates a culture of mutual-support and high expectations for individual success. Professional art training offers opportunity for productive engagement as well as a path to much-needed income. The community fosters hope, and in so doing reduces barriers to success often faced among persons living in poverty. Operating in affiliation with Skid Row Housing Trust, Piece by Piece is a growing social enterprise meeting needs for enrichment, training and job development opportunity among residents of Skid Row and South Los Angeles. Partners and collaborators strengthen our work, expand our reach, and enable us to realize works of art of exceptional merit. Facilities for workshops are provided in-kind by housing partners, enabling quality programming at multiple workshop locations. Exhibits are hosted by community partners that share our commitment to providing essential services to disenfranchised residents. Recyclable dishes, glass and tile are collected from individuals and merchants throughout the year providing an ongoing source of materials for mosaics.